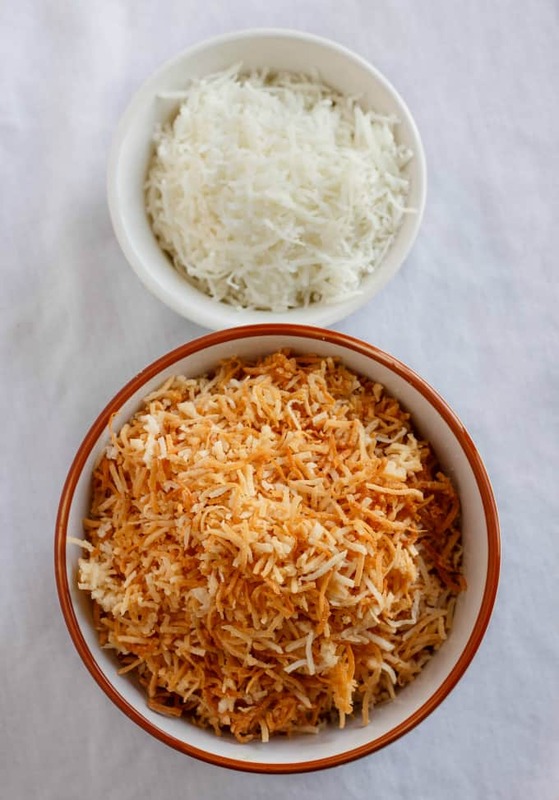 You can take shredded coconut a step further with this awesome tutorial on how to make toasted coconut! Trust me, it makes a difference! Since I always take things a step further, I am presenting you with my tutorial on how to make toasted coconut. Do not be fooled, it is super easy. The easiest recipe out there! And the worst part(or maybe the best part now?) 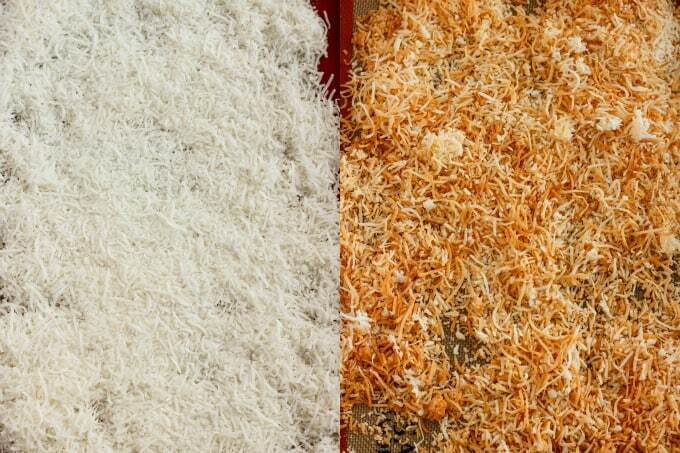 Stores will charge you double the price for toasted coconut compared to the non-toasted variant. So not only are you making something “homemade,” but you are saving money as well! You start off with any amount of unsweetened or sweetened shredded coconut and layer it in single fashion on a baking sheet. It will last a couple of weeks so you can choose to do a small amount or a lot. I tend to like it on everything (oatmeal, ice cream, on its own, you name it!) so I go with anywhere between two and three cups. Sweetened or unsweetened depends on your preference. I used to be a sweetened lover, but now I do with unsweetened and add sugar accordingly! Sprinkle coconut onto baking sheet and spread out in single fashion. Place into oven and bake for 5 minutes. Toss coconut. Continue cooking for another 10 minutes, or until nicely golden, making sure to stir often so the coconut does not burn. Remove from oven and allow to cool. Store in air-tight container for a couple of weeks. Some coconut cream pie that is only enhanced with toasted coconut added to the mix! 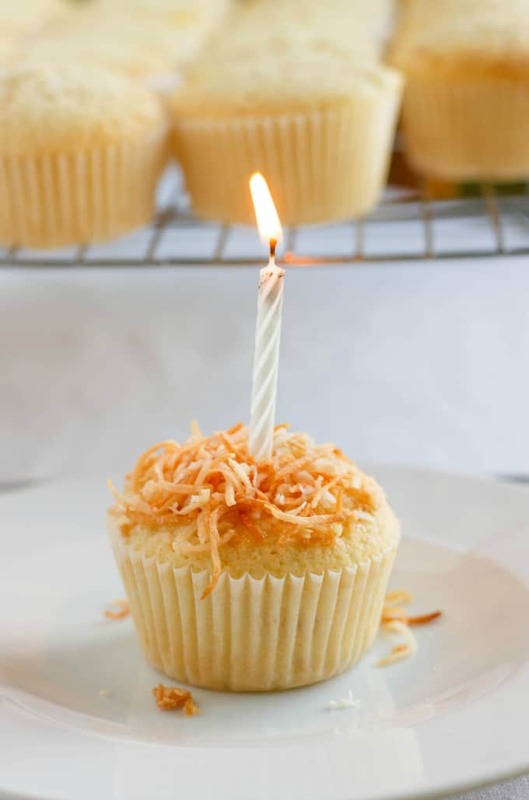 Cannot go wrong with toasted coconut cupcakes! Toasted coconut ice cream?! Yes! 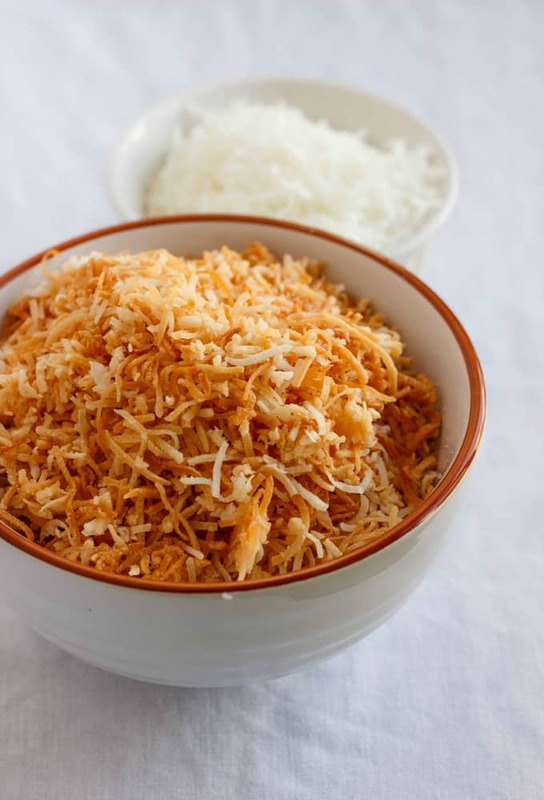 Toasted coconut is the BEST! Thanks so much for sharing these tips with us! You are welcome! It is definitely the best! Looks Delicious! Love Toasted Coconut. OMG, coconut jerky?! I need to find these!! Thanks! Erin, once you try it, you are never going back! Toasted coconut is SO good! This is such a helpful tutorial! Um. Can I just eat that by the handfuls?!? :-D Love me some toasted coconut! I could add toasted coconut to just about anything! I love the flavor, great tutorial! Such a comprehensive guide for roasted coconut! Thanks for taking the time to do this! So glad to have this information! Thanks for sharing your expertise. What a great tutorial - and those cupcakes look amazing! Love this! Do you think this would work with flaked coconut too? Yes, Lauren! Just keep an eye on the coconut and you will be good to go :) I really need to grab some flaked coconut. I was thinking about rolling chocolate covered pretzels or homemade doughnuts in this.